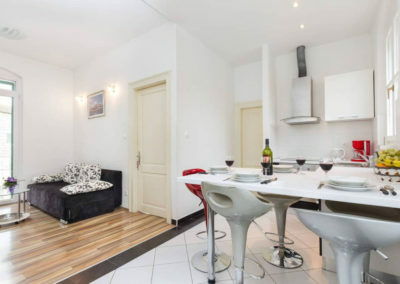 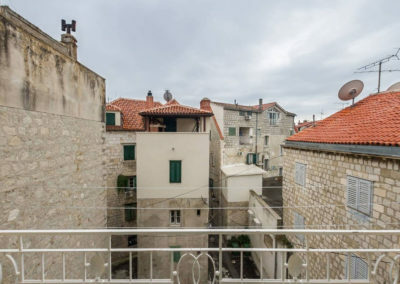 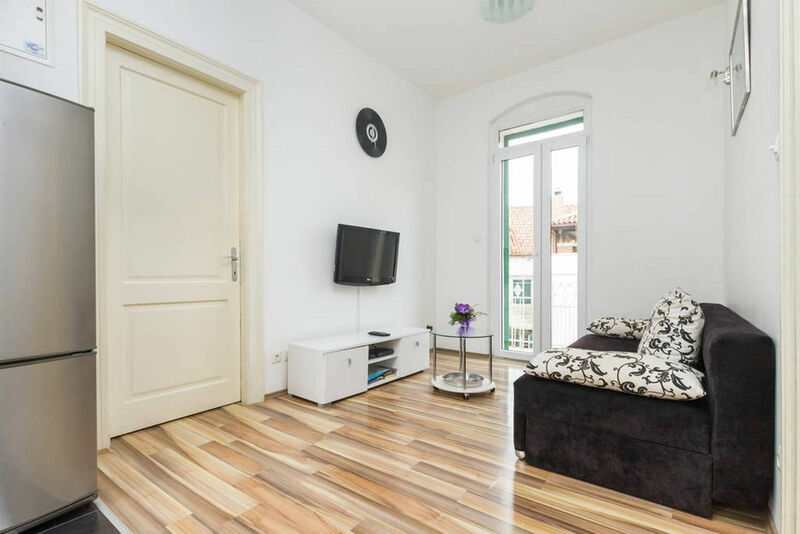 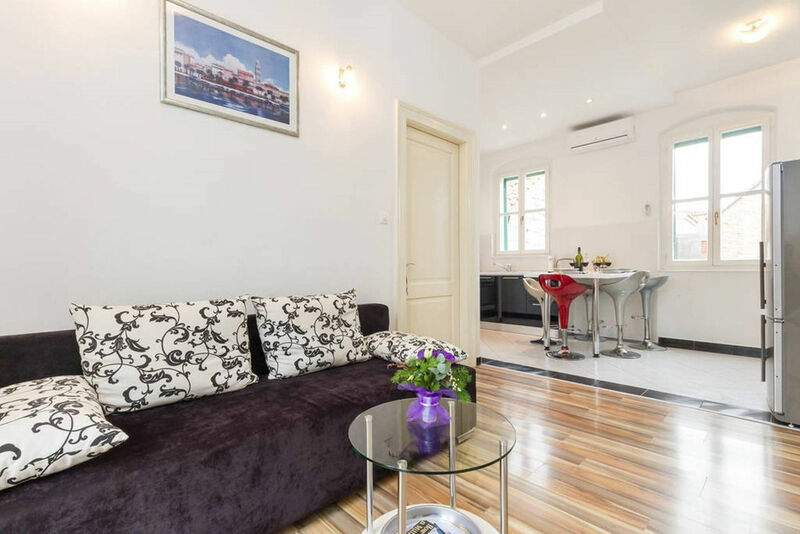 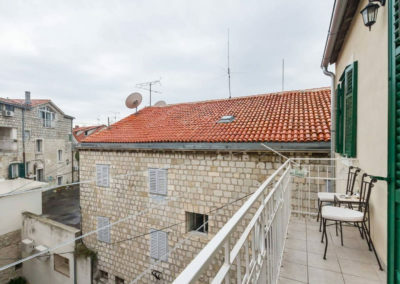 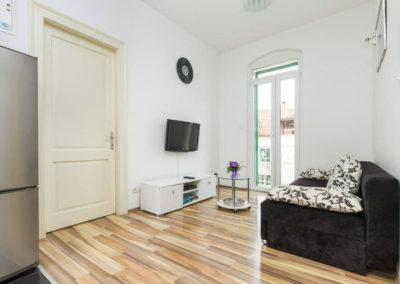 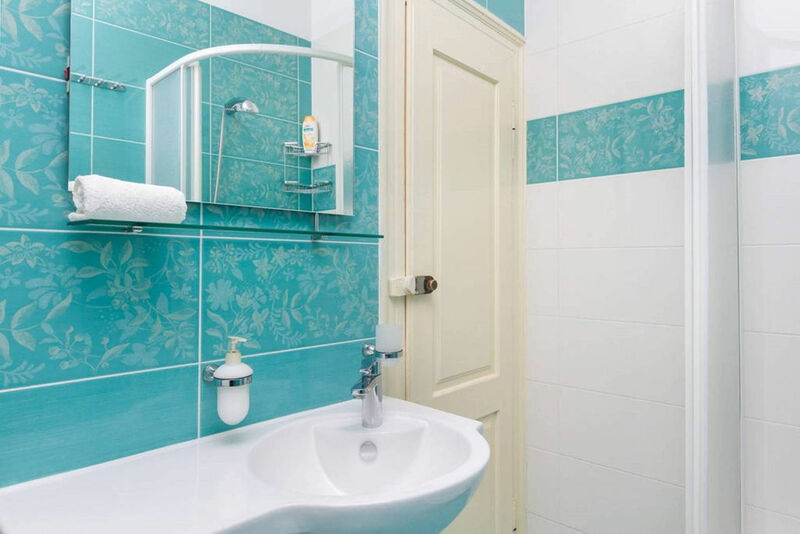 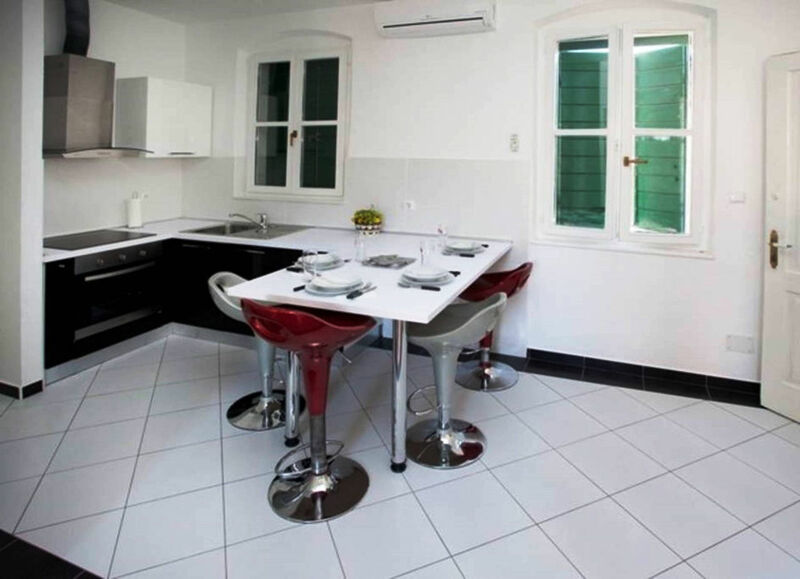 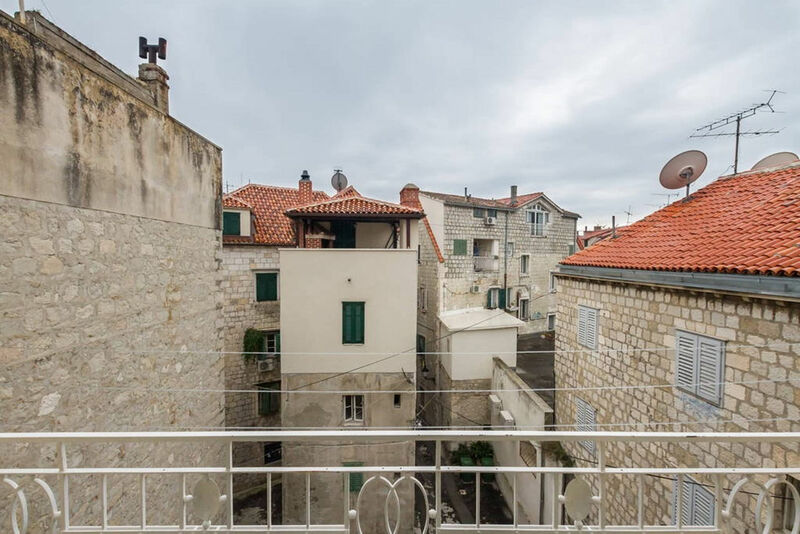 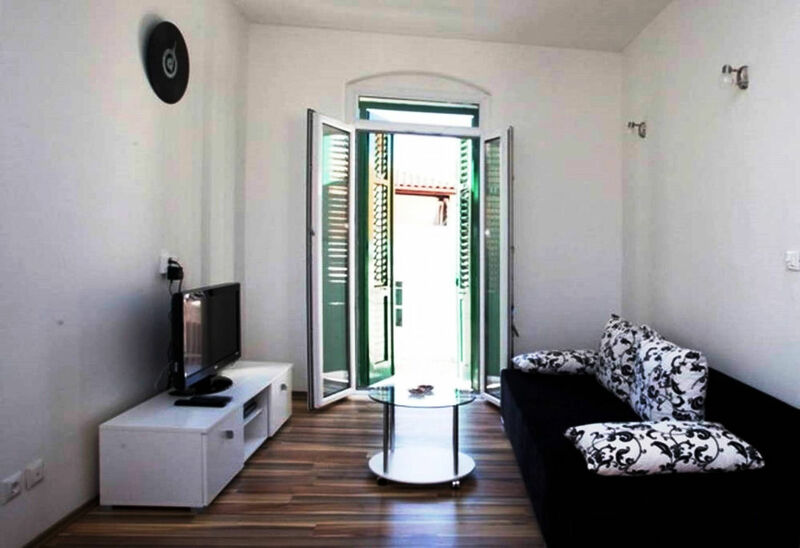 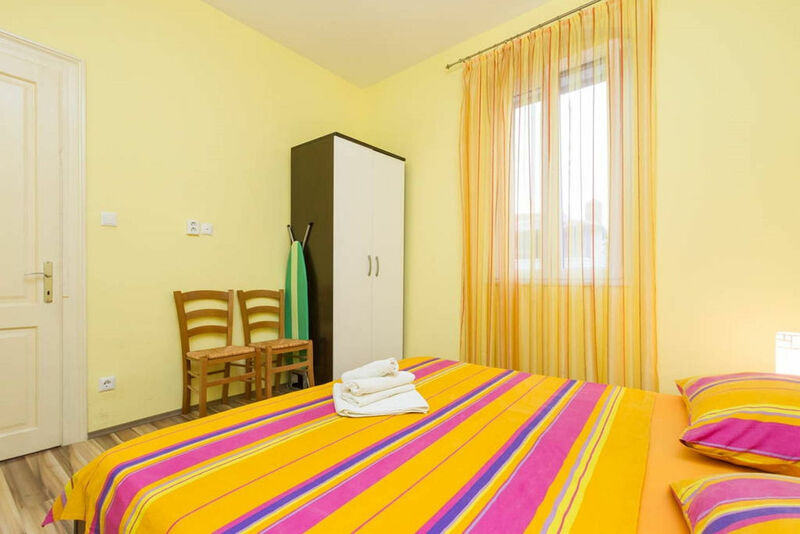 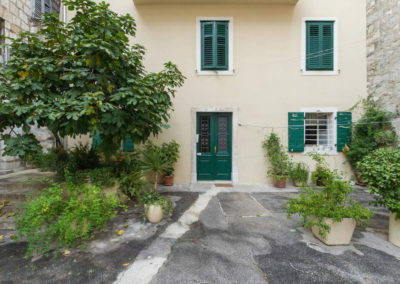 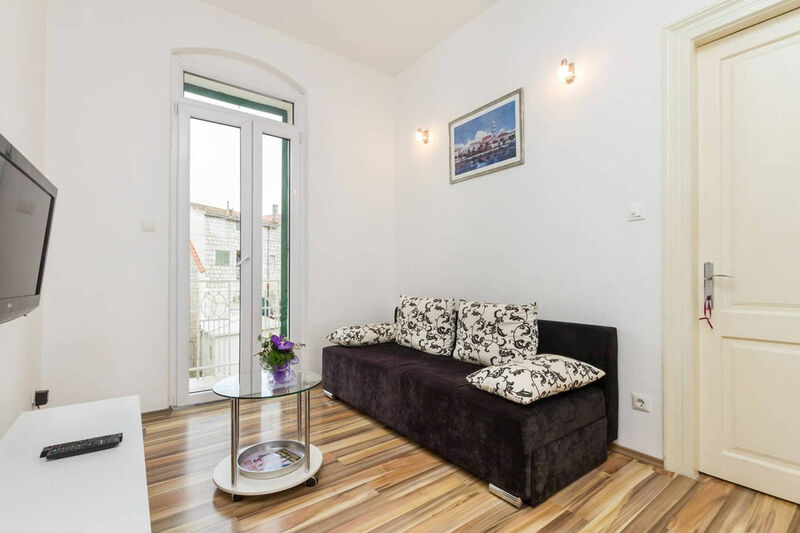 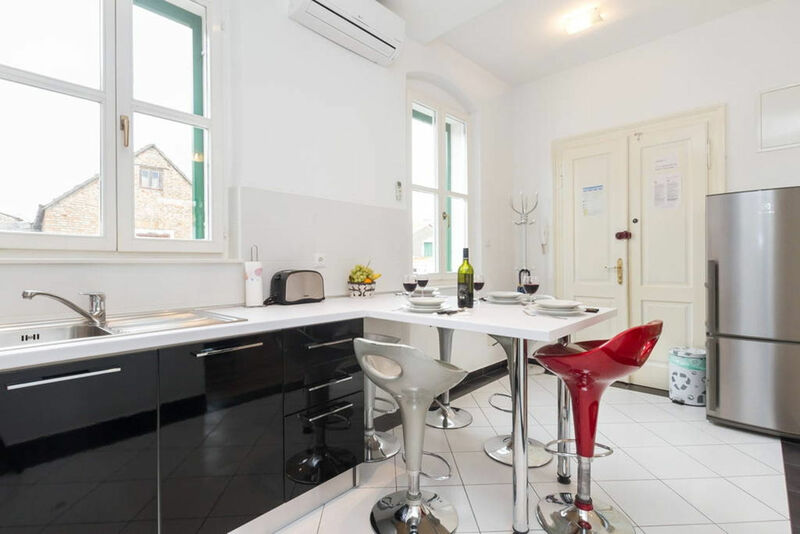 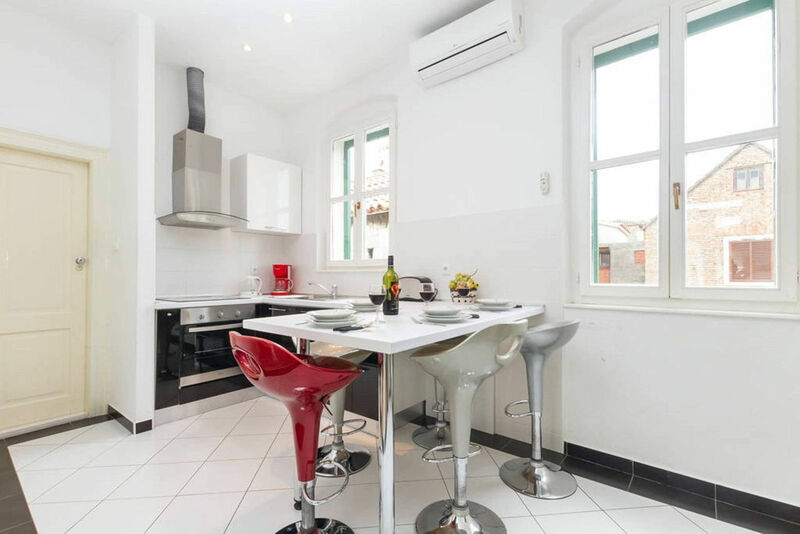 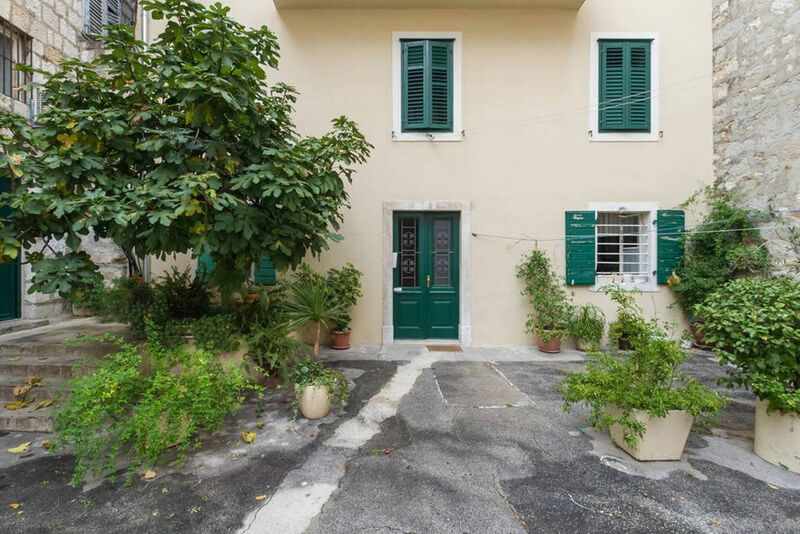 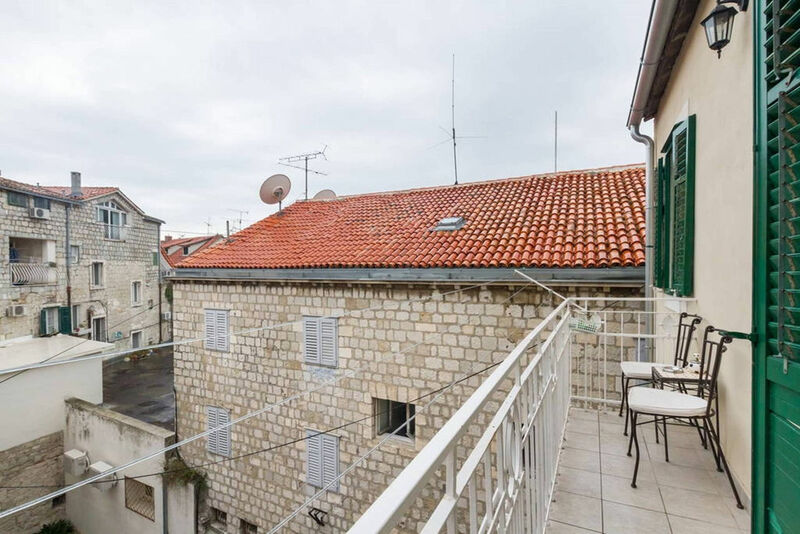 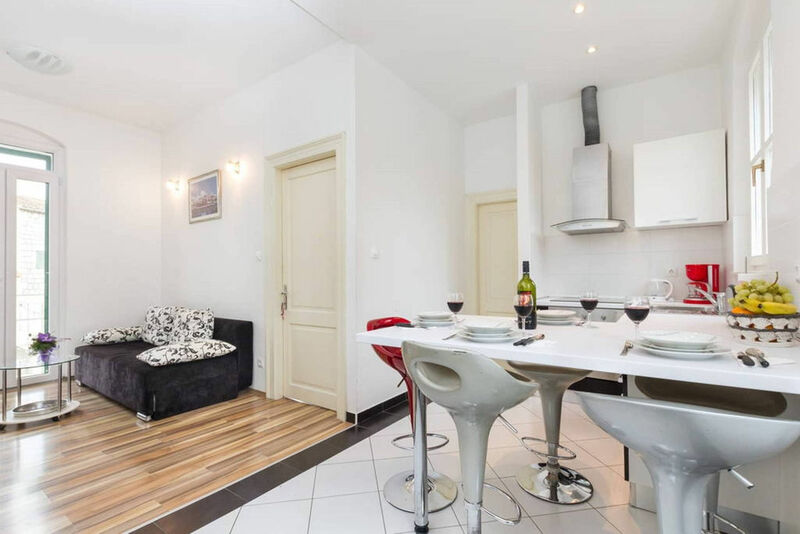 This two bedroom apartment with balcony is located in the middle of old town 50m from main promenade Riva but still very quiet in small street. 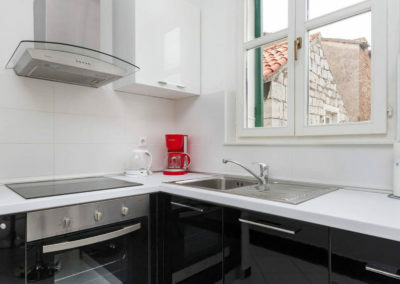 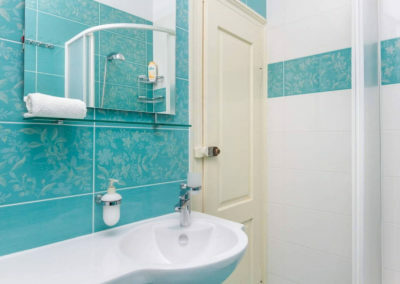 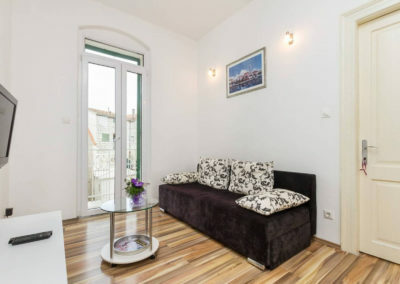 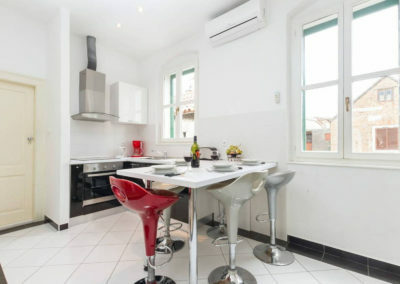 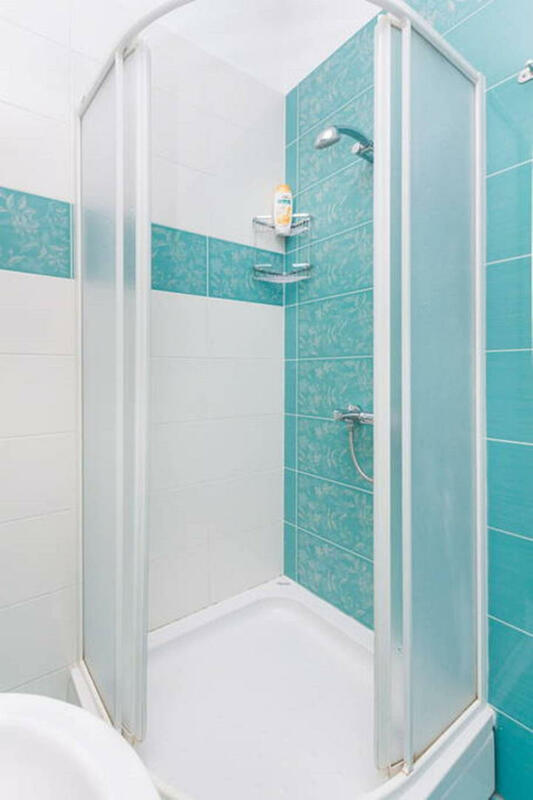 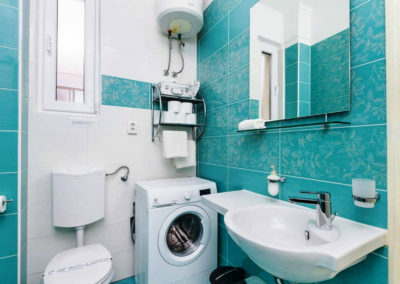 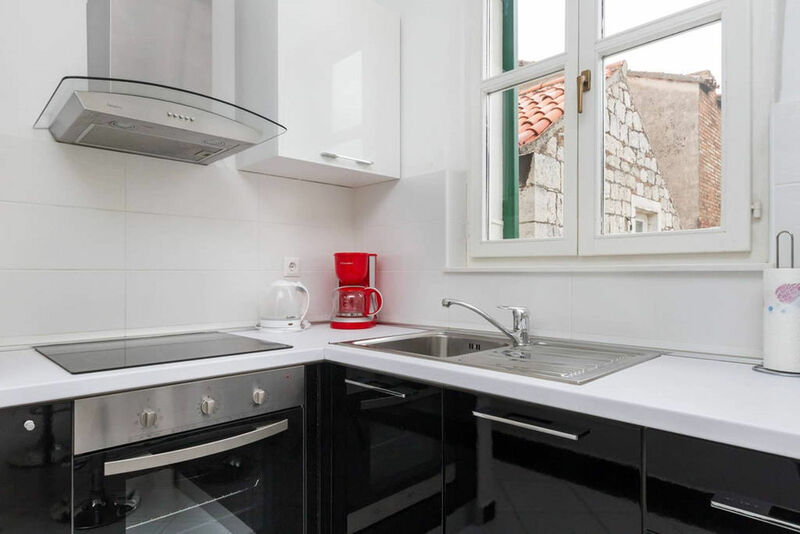 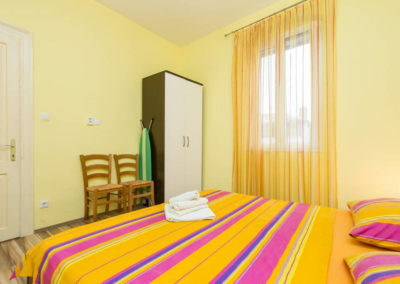 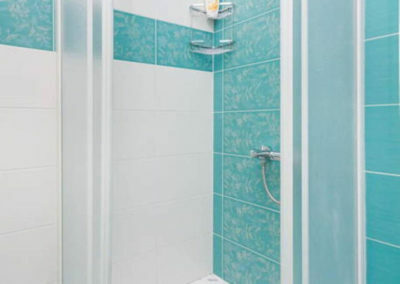 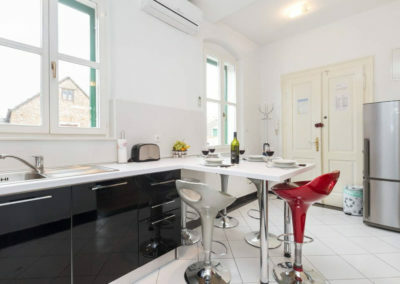 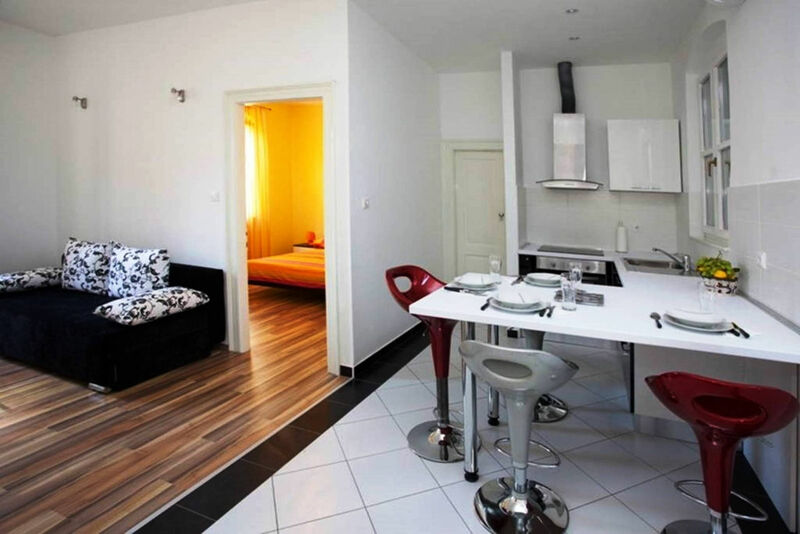 Apartment is tastefully furnished and newly renovated. 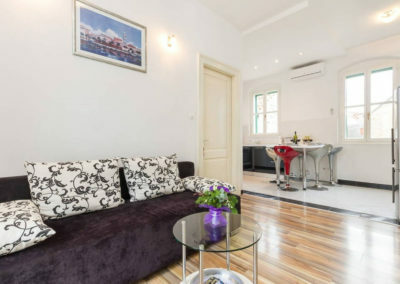 Aircondition in all rooms and free wi-fi, flat-screen cable TV ,fully eqiped kitchen,washing mashine and hardwood floors. 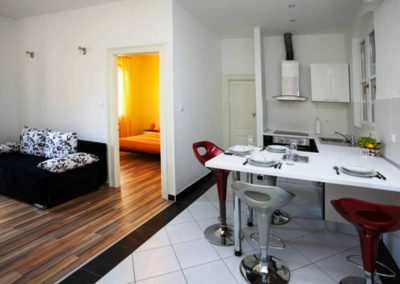 Apartment consist 2 bedrooms,kitchen,living room,bathroom and balcony. 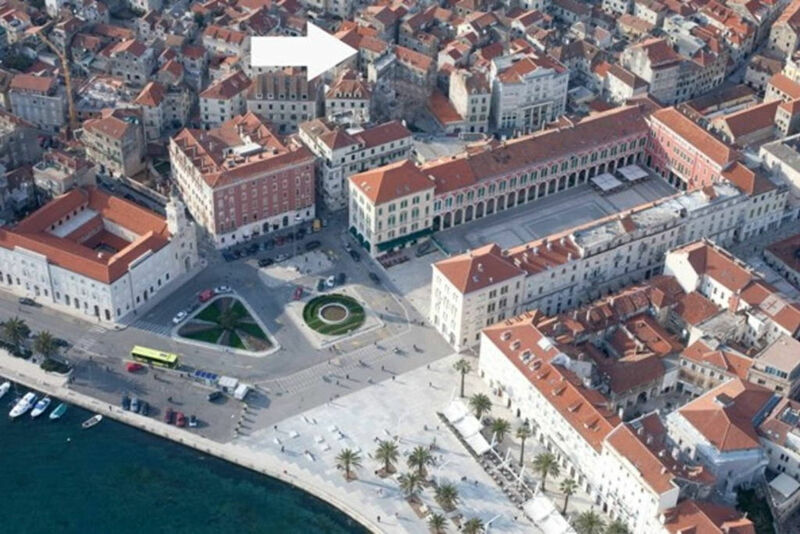 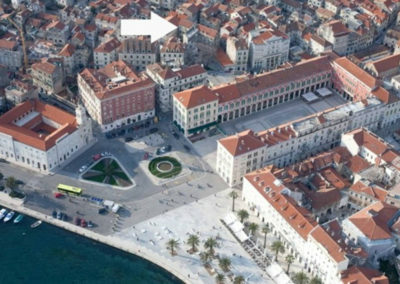 In neighborhood you will find plenty of good restorans with typical dalmatian mediterian food.